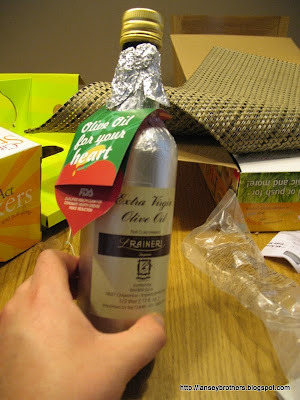 Stacy and I recently purchased a fancy-pants bottle of olive oil from Fairway. After reading this, I'm convinced! Instead of those two tablespoons of butter I am careful to eat every day, I may, possibly, down two tablespoons of olive oil in a limited and not conclusive way. 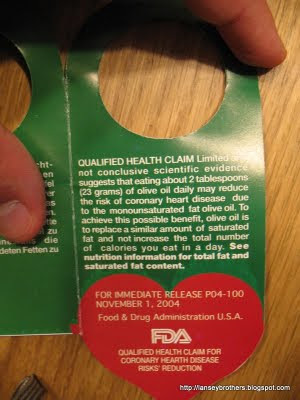 I wonder what it takes for the FDA to qualify a health claim. I suggest not all that much. 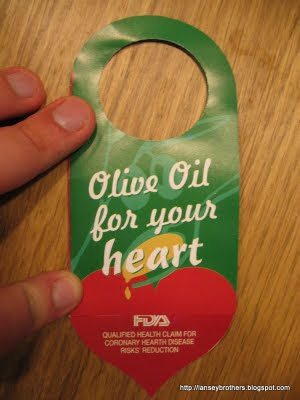 Does the Fancy-Pants Olive Oil taste better than the "cheap" Extra-Virgin stuff?